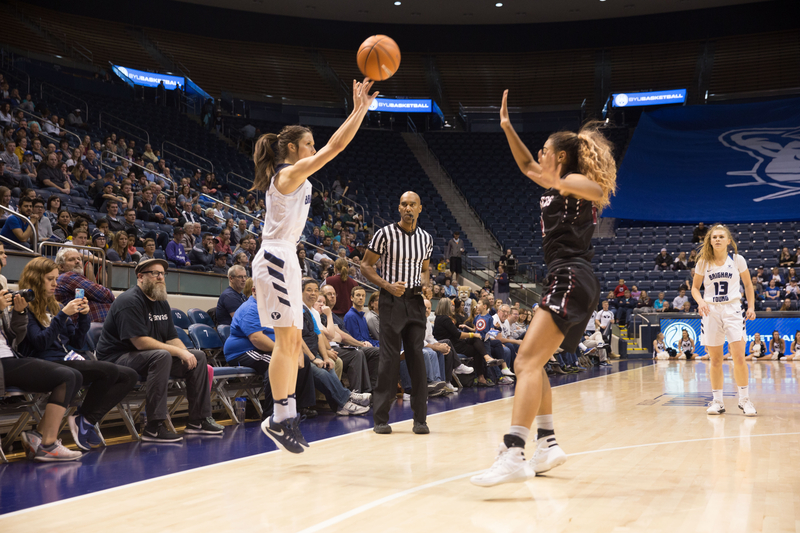 BYU women’s basketball is heating up, clinching the team’s fourth win in a row 65-47 over Santa Clara Saturday afternoon Provo. Brenna Chase and Cassie Devashrayee both scored in double digits for another Cougar win. Chase had a career-high 23, and Devashrayee was right behind her with 21. Sara Hamson made the first bucket of the game with an effortless lay-in. BYU and Santa Clara remained neck and neck, as it looked like anyone’s ball game early. Malia Nawahine’s quick feet and sharp thinking resulted in a fast break layup to give the Cougars their first lead of the game 12-10 over the Broncos. The Cougars slowly started to heat up, going 4-for-6 from three. At halftime BYU was up 29-26, but the game was far from over. Devashrayee drilled a clutch step back shot early in the second half that put BYU up 37-29 over Santa Clara. Late in the third quarter the Cougars really began to gain momentum with the crowd cheering them on. “Don’t be afraid to take the shot!” Judkins screamed as the team passed the ball around, looking for an opportunity to score. The Marriott Center was booming after Chase and Devashrayee both hit double figures. Chase showed no signs of stopping, scoring 5 points in 18 seconds to get the Cougar lead up to nine. The sophomore guard was on fire, sinking her fifth triple of the ball game. 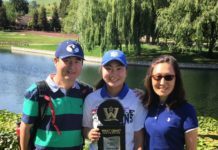 BYU was well on its way to victory, outscoring the Broncos 21-10 in the third quarter, and taking a 50-36 lead into the final period. Towards the end of the fourth quarter BYU was up 55-42 over the Broncos, and shooting 40 percent from deep. 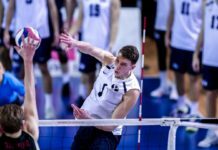 BYU will be on the road next, playing the Loyola Marymount Lions Thursday Jan. 18 at 1 p.m. MST. The game will be broadcast live on BYU Radio, Sirius XM 143 as well as streamed on TheW.tv.